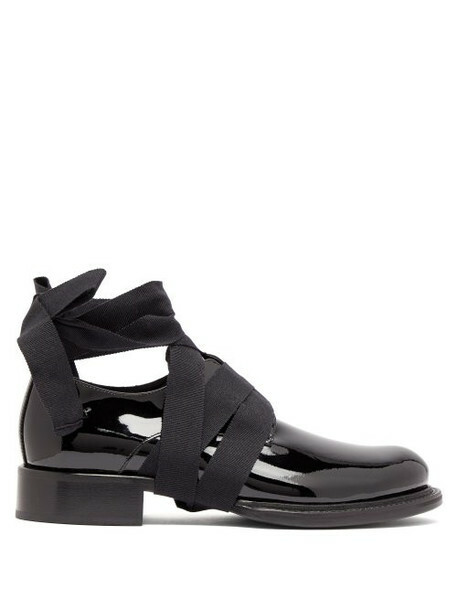 Ann Demeulemeester - Put a broody take on sartorial dressing with Ann Demeulemeester's patent ankle-tie loafers. They're Italian-crafted from glossy patent leather with long grosgrain ribbons designed to wrap around the foot for a customisable fit. Retain the designer's signature air of gothic elegance by styling them with fluid black separates.